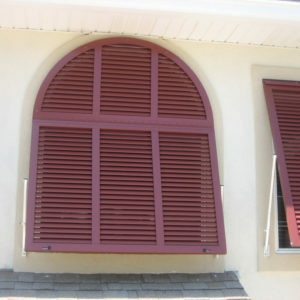 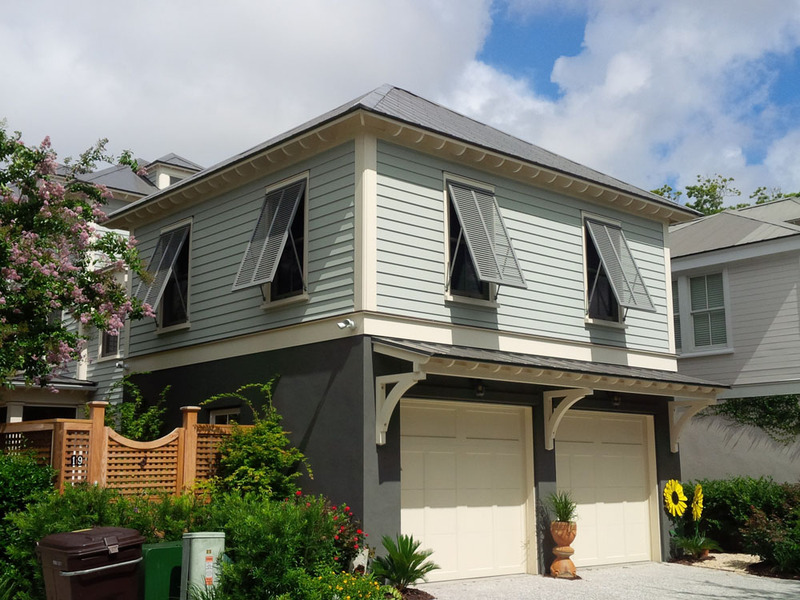 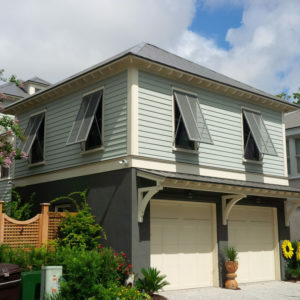 Composite Bahamas Shutters are available in any color. 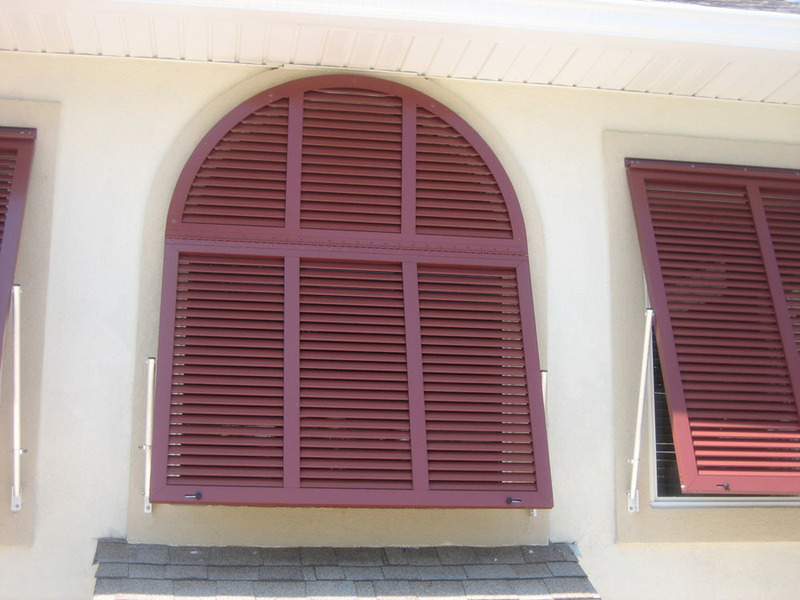 Aluminum Bahamas Shutters available in over 100 powder coat colors. 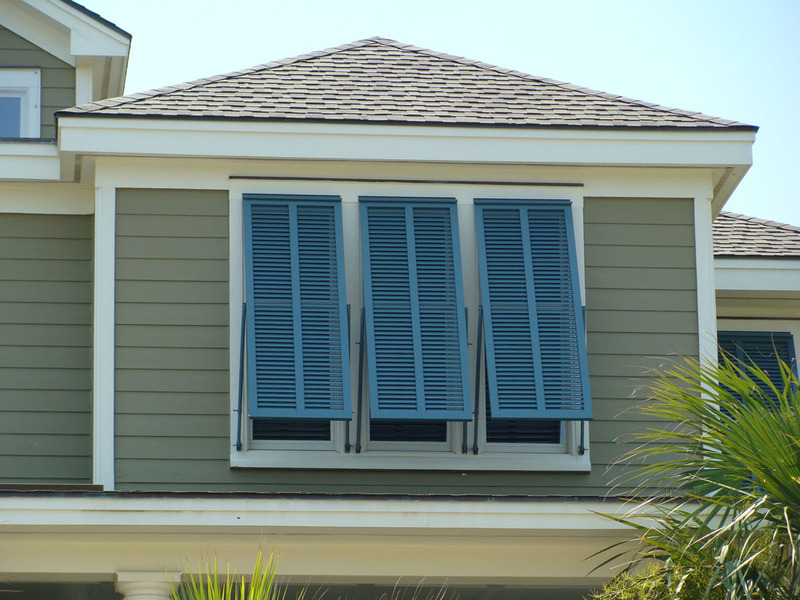 Louvers allow soft, indirect light and fresh breezes into your home while protecting valuable rugs and furniture from the sun’s damaging rays. 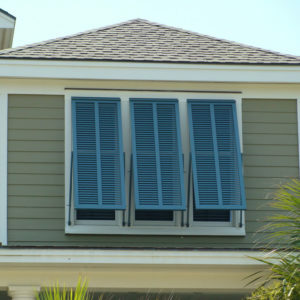 Support arms and locking pins on Bahama shutters allow for quick, secure closing before a hurricane. 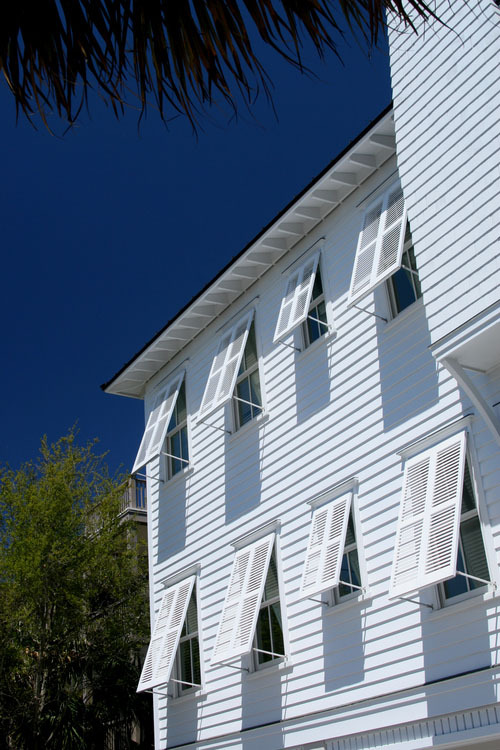 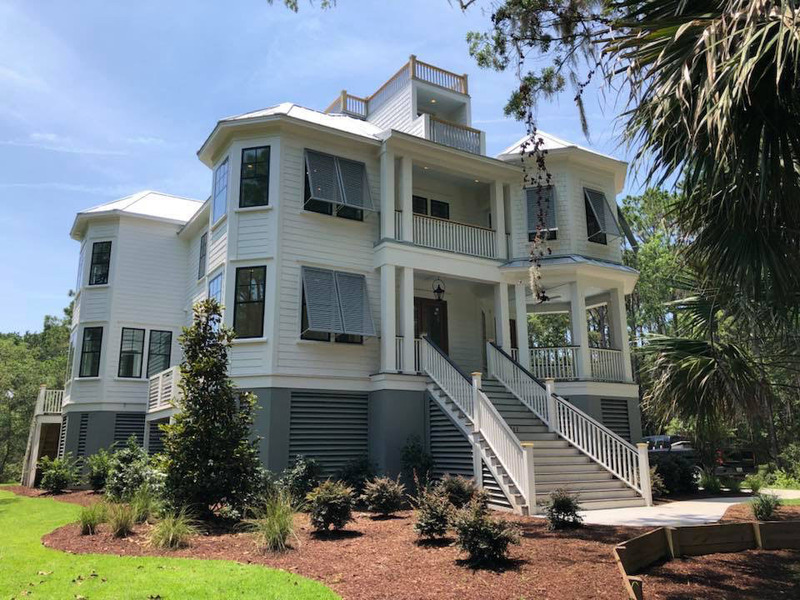 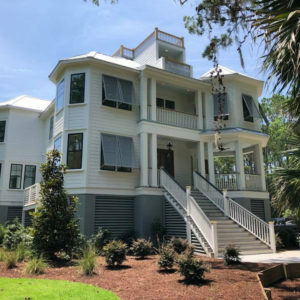 Extruded aluminum or Composite slats offer strength and durability during storms & hurricanes. 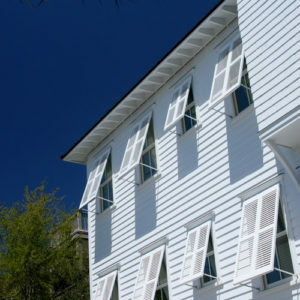 Coatings and stainless steel hardware are designed to stand up to tough coastal area environmental conditions.